It's long been known that since the day Sadiq Khan got into office he's had his eyes on the suburban commuter routes run by private rail operators. 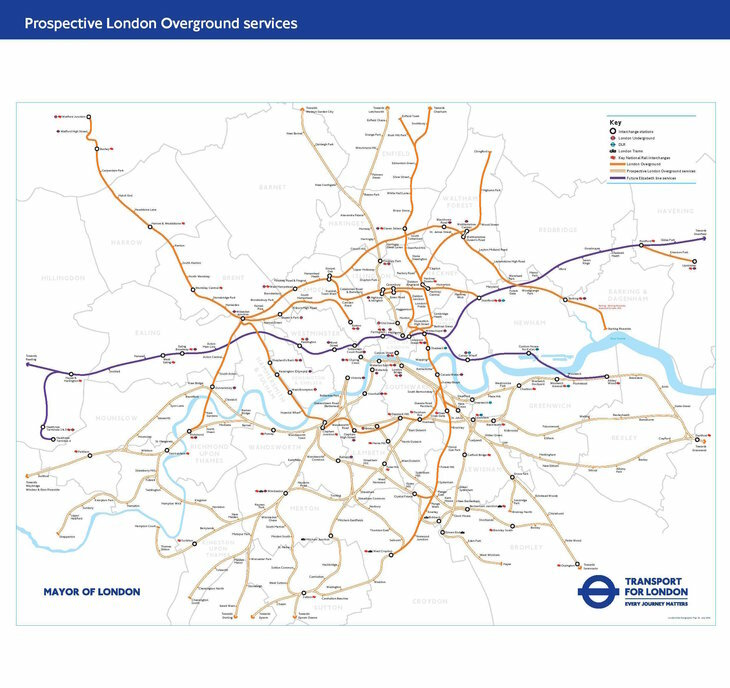 Early on in his tenure, he released a map (see below) that showed most of London's commuter routes turned orange — the same colour as the TfL run London Overground. The Mayor of London has again come out asking for TfL to be awarded a franchise, this time the metro services of Southeastern railway run by GoVia. 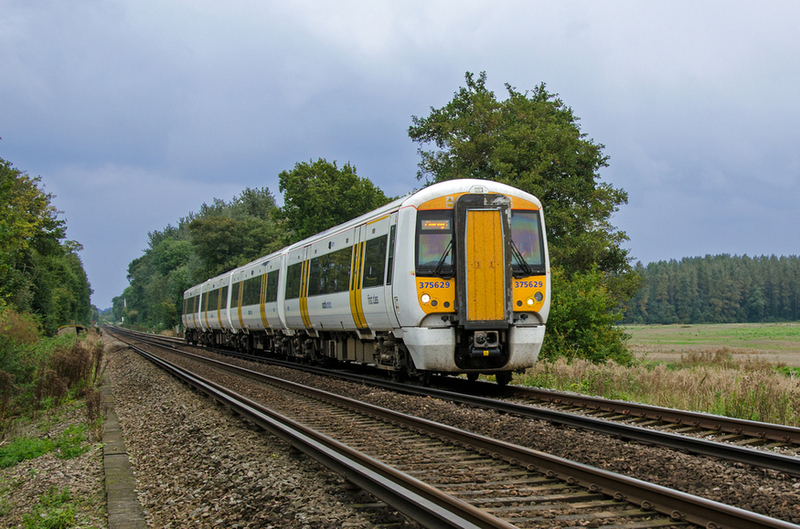 He's written to Secretary of State for Transport, Chris Grayling, to say as much, citing the announcement of which company will be awarded the Southeastern rail franchise has been delayed by three months as the perfect opportunity. These passengers deserve so much better than they are currently getting and I believe now is the time for a fresh start. The Government could make the most of this delay by working with me to put passengers first by transferring responsibility for contracting these Metro services to TfL. Their expertise would provide the more frequent and reliable services these passengers are crying out for. The Mayor's language is noticeably harsh claiming that those who use Southeastern endure "daily misery", and he describes their service as "mediocre at best". Whether this is true or not, is possibly of little importance — Khan and Grayling have been stuck in a political gridlock over the state of suburban commuter franchises for a couple of years (here's an excellent overview of their history). One thing has changed since the last time this issue was raised — when Southern was failing passengers due to its fallout with staff — the renationalisation of Virgin East Coast. This possibly weakens Grayling's situation, and makes the devolution of Southeastern to TfL a slither more possible. However, GoVia isn't the only one in the running for the franchise. Also in the running is Stagecoach — which owned 90% of the recently failed Virgin East Coast franchise — and Abellio, which operates Greater Anglia (although rumours abound that they have made errors in their bid and they may walk away). Here's an in depth history of the issues surrounding this franchise. Decisions on the way rail franchises are structured and awarded are made by Government. We've invested £80m to improve our services since 2014, including 68 extra carriages to boost capacity on our busiest services, nearly £5m in station refurbishments, and new 'Customer Ambassadors' to help assist passengers with their journeys. 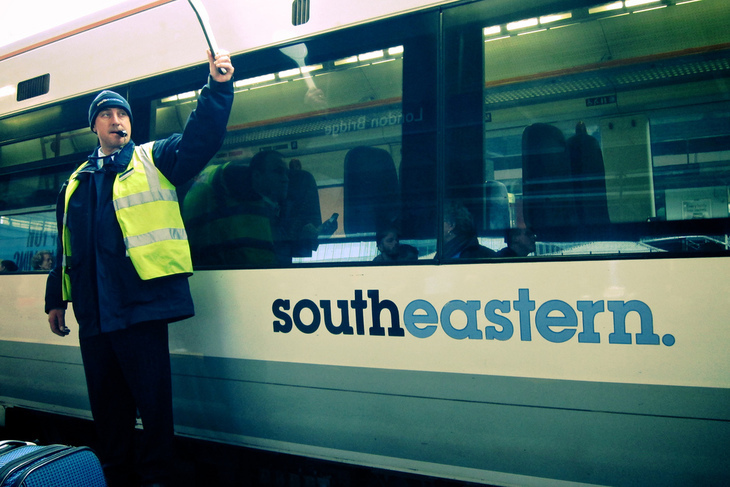 Working together, the partnership railway is securing £9.2bn of extra economic benefit for passengers, communities and employees in London and the South East. A decision from Grayling and the government isn't now expected until November. So, barring any surprises, we can expect the next chapter in the epic saga that is Grayling Vs Khan to happen around then.